On April 22, we march for science! We will gather in front of the steps of the Manitoba Legislature at 1pm for a rally with guest speakers tba. 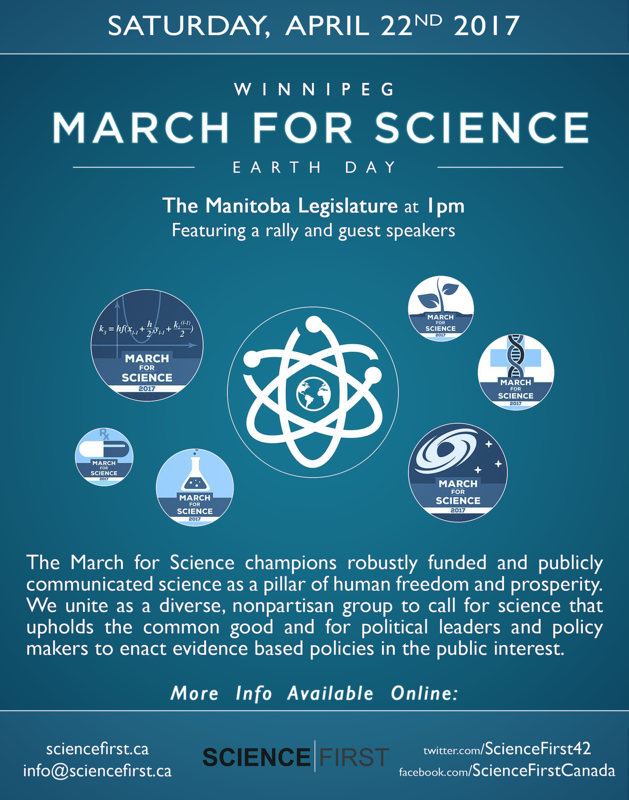 Science First will be organizing a March for Science in Winnipeg, in solidarity with the March for Science DC and satellite marches planned across the United States, and the world. The March for Science is a celebration of our passion for science and a call to support and safeguard the scientific community. Around the world, people who support scientific research and evidence-based policies must take a public stand and be counted!